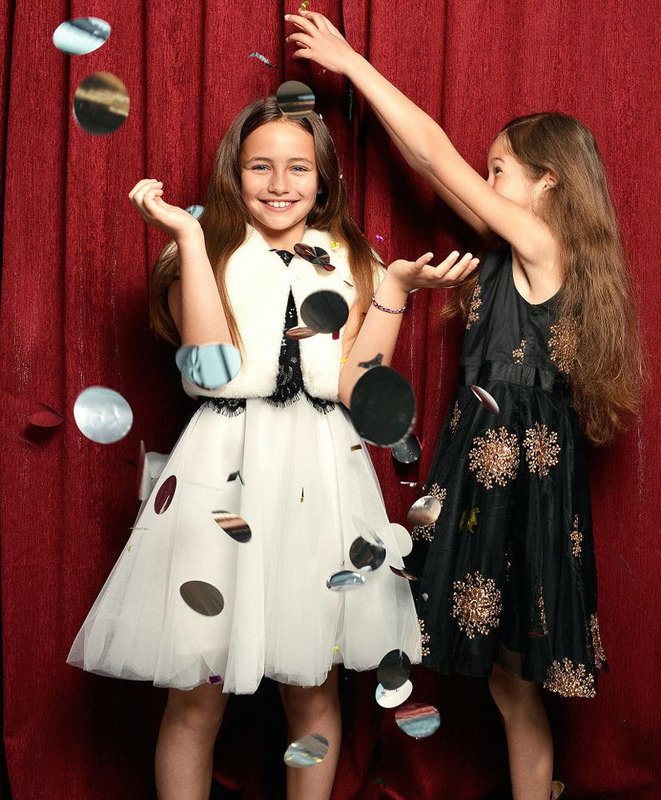 Designed in Paris, Derhy Kids combine fabulous feminine silhouettes with bold fabrics in order to create truly unique pieces. 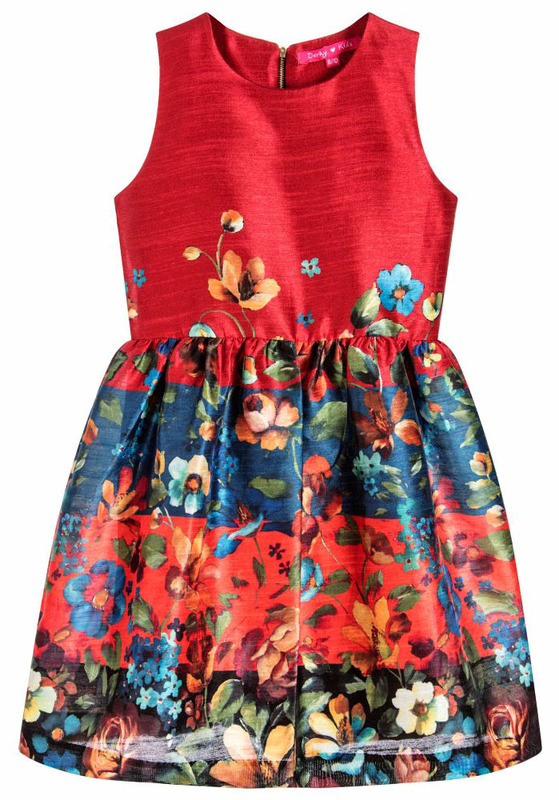 Made in a deep red with vibrant floral design, this dress by Derhy Kids will steal the show. The waist is gathered for an elegant drape, and the smooth satin lining will ensure she is comfortable all evening long. Party dresses don't come better. Made with layers of voluminous white tulle, this fully lined dress by Derhy Kids will have her feeling like a princess. 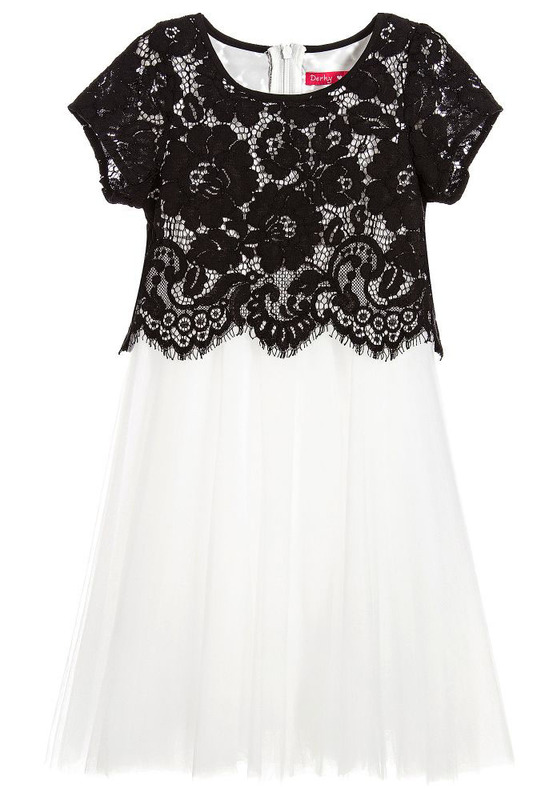 The black lace overlay is a stand-out contrast that is as unique and with zip fastening on the back, dressing girls for that big occasion is easy. 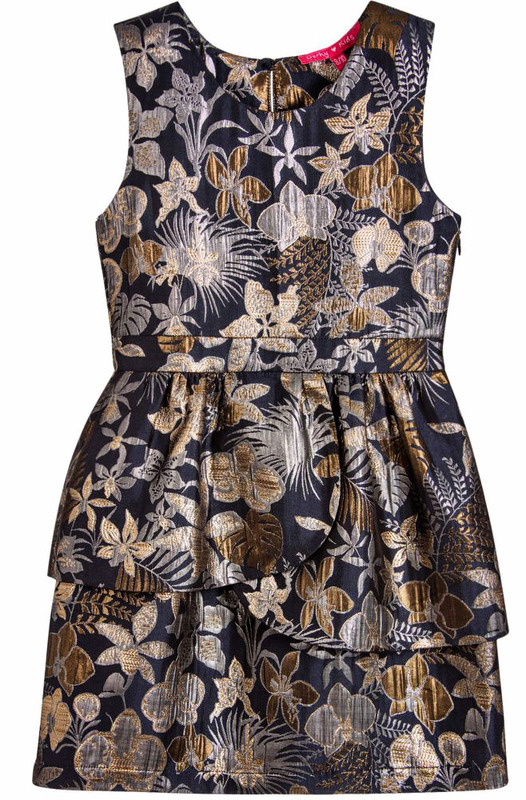 For a dress that's as pretty as she is, this sculpted dress by Derhy Kids is just the ticket. It will sparkle and shine thanks to the glittery metallic thread in the weave, and the smooth satin lining and side zip fastening will ensure girls are comfortable all night long.